1-1/2" Wide Nylon Blend Web Belt with Lightweight Aluminum Slide. Our new buckle design–sleek, lightweight aluminum slide in a unique shape. Add just a touch of edginess to your style. 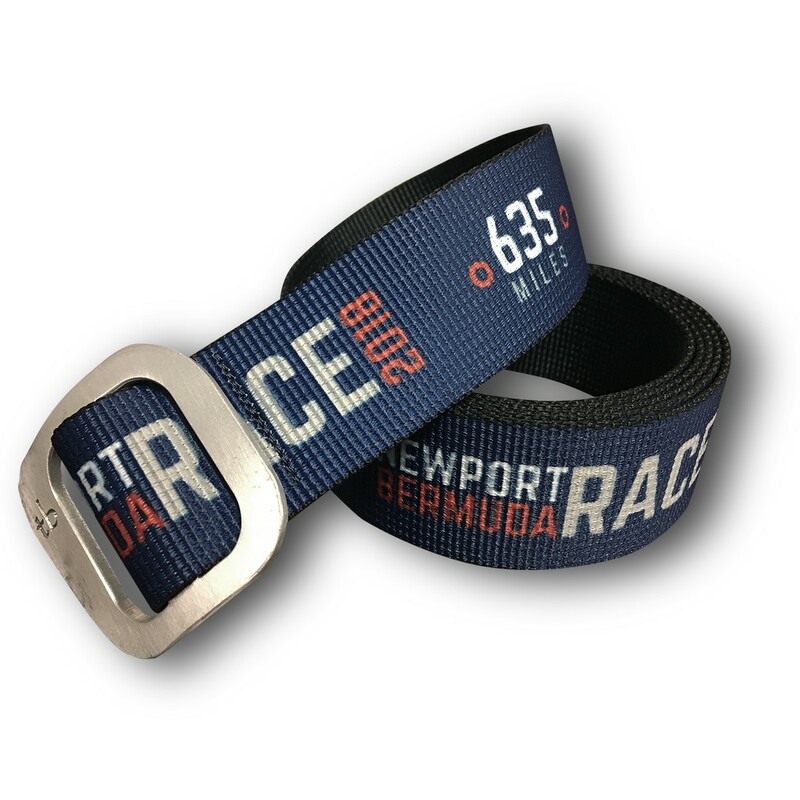 This belt features custom webbing for the 2018 Newport Bermuda Race and can be cut to size.